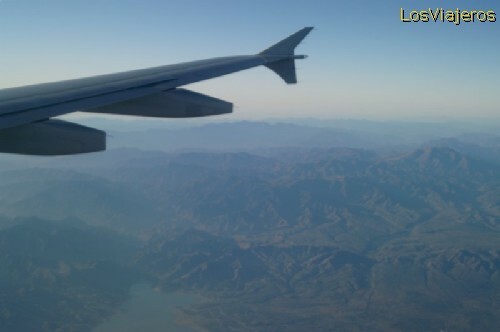 Inner Mongolia, - China: Mongolia viewed from the airplane. Sunrise on the mountains of Inner Mongolia. The trip starts the 7th of october 2005.